Road bikes are faster and more capable than ever before, and riders are expanding what’s possible with drop bar bikes. X-Range™ offers wider range, more useful and smoother gear progression, as well as smarter shift settings—enabled by AXS™. On tarmac or gravel, 1x or 2x, eTap AXS™ gives a quiet, secure, and smooth ride. Thanks to the ultra-lightweight Orbit™ fluid damper and a unique Flattop™ chain, you’ll ride more confidently and efficiently than ever—no matter the terrain. Control. Personalize. Monitor. AXS™—SRAM’s new bike component integration system—takes eTap® wireless shifting to the next level. 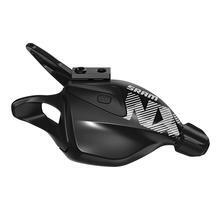 The SRAM AXS™ app allows riders to see battery status, change component behavior, personalize controls, get maintenance reminders, and update firmware. 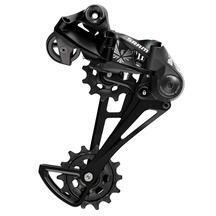 Eagle™ Technology revolutionized the mountain bike experience by offering riders a 1x drivetrain solution that is purpose-built to be lightweight, strong and intuitive, with the gear range to ride on any terrain. NX Eagle™ drivetrain is the newest addition to the Eagle™ 1x ecosystem, and shares technologies with XX1, X01 and GX drivetrains, which makes it 100-percent compatible within the Eagle™ ecosystem. NX Eagle™ delivers an ease of entry that will bring the benefit of Eagle™ range and Eagle™ performance to more riders than ever before. SRAM Eagle™ drivetrains are the only 1x drivetrains that are fully system engineered for optimal performance. Eagle™ drivetrains are designed, tested and proven to deliver the lightest, highest-performing, most durable systems for all riders on any trail. Eagle™ technology provides an expanded, optimum, gear range that allows you to realize your bike’s potential beyond where it has ever been. Every SRAM GX Eagle™ component is 100-percent compatible with all levels of SRAM Eagle™ drivetrain systems. The challenges of riding a mountain bike should be kept to roots, rocks, mud, trees, jumps, drops and breathing. Putting total control of your gear selection into the thumb of one hand, it’s simple to find the right gear, right now. The GX Eagle™ trigger shifter is the control center of the Eagle™ drivetrain. Its internal works have been updated to include a 12th gear, and improved to enhance trigger feel, precision and durability. The SRAM GX Eagle™ crankset delivers consistent performance every time out. 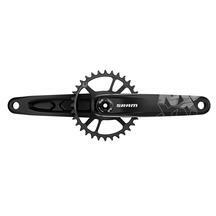 Featuring SRAM’s X-SYNC™2 tooth profile chainring, the GX crankset is engineered for complete chain control. Each tooth’s thickness is precisely toleranced and controlled to work seamlessly with the chain’s inner and outer links. 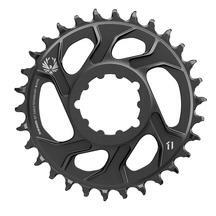 Ride anywhere with this wide range XG-1275, 10- to 50-tooth Eagle™ cassette that provides the right gear. Fast on the flats. Control on the climbs. Dictate your own pace, anywhere. Only Eagle™ technology is the 1x drivetrain engineered for infinite freedom. FULL PIN™ technology uses lightweight, stamped steel cogs held together with high-strength stainless steel pins. 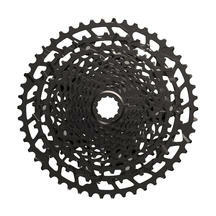 The result: a cassette that’s light and strong. The open design similar to our X-DOME™ cassette aids in mud clearance, giving you cleaner shifting performance and longer component life. New X-GLIDE™2 improves both inboard and outboard shifting, as well as chain retention. The GX Eagle™ chain is designed with SRAM’s Eagle™ geometry, the GX Eagle™ chain features solid pin construction, Eagle™ PowerLock® and smooth, efficient shifting that you can count on every time out. What has Hot Spot Cycles been up too?